This post has been due for quite sometime, I posted my pics for Cinco de Mayo feast on Cinco de Mayo day (1st of May). So better late than never, here are the recipes. I made these quesadillas with Trader Joes Corn-Chile Tomato-less Salsa and grated sharp & milk cheddar cheese. 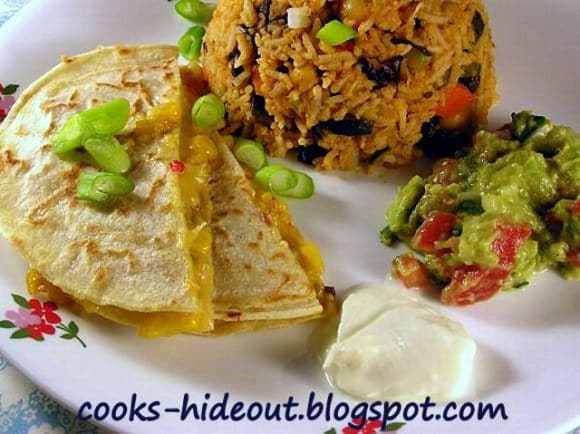 All I had to do is layer them on corn tortillas and they were just perfect, sweet & tangy from the salsa and oozing cheese. Yumm.